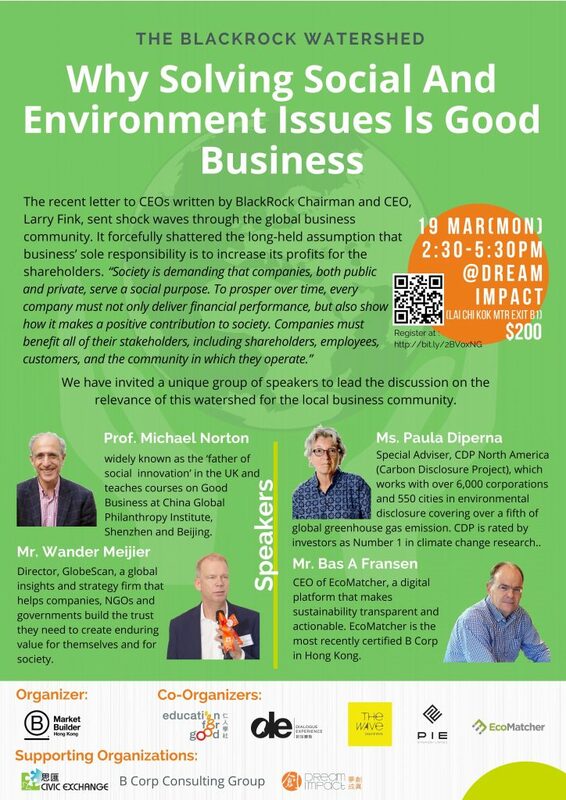 HKSEF is rolling out a series of initiatives under the “B Market Builder”. 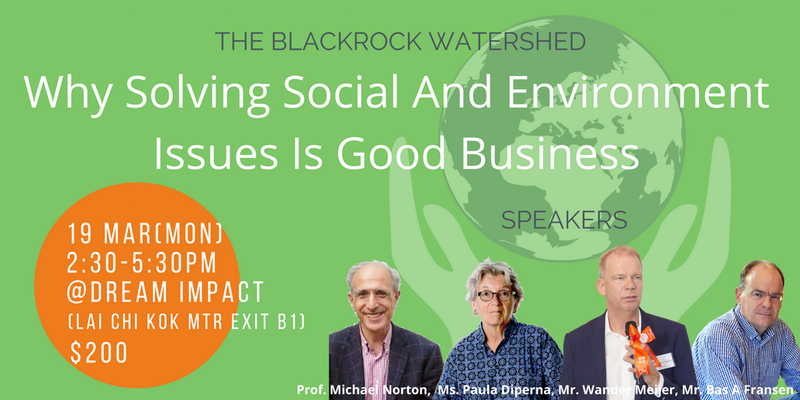 Here you go with the inaugural talk with four heavy-weight speakers on “Why Solving Social And Environment Issues Is Good Business”. Join us now!